Necessity is the mother of invention. 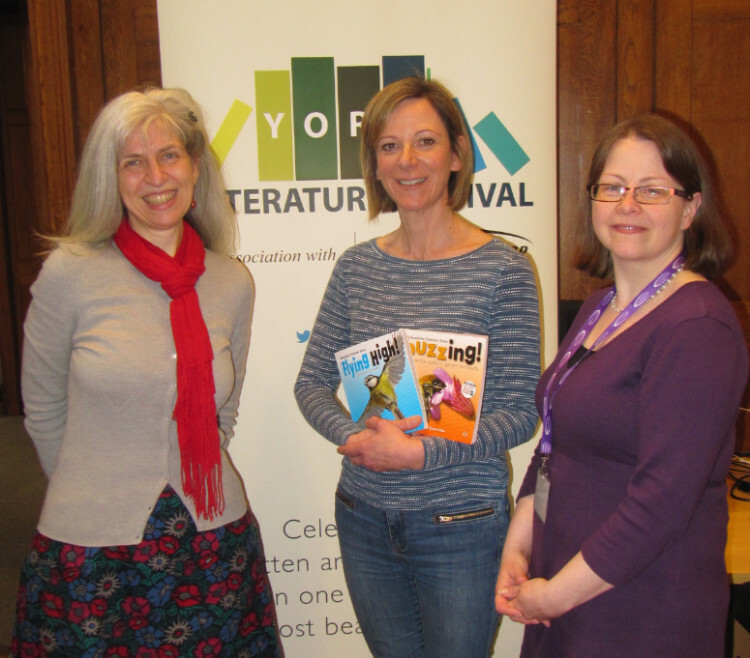 So when, due to circumstances beyond her control, Carole Bromley was unable to make our joint children’s poetry event for York Literature Festival last month, we hatched a plan. 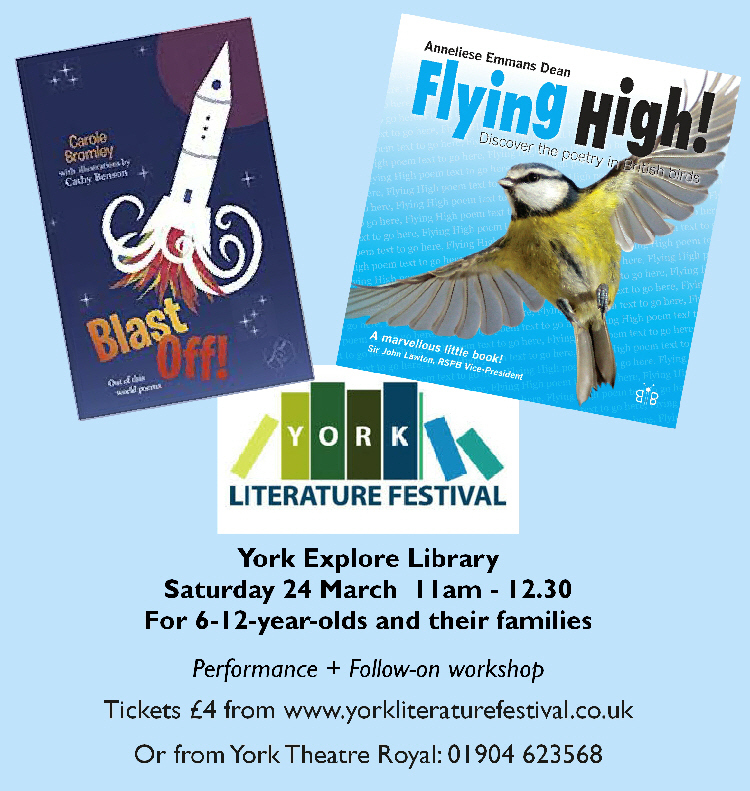 Part 1 of the plan, hatched by Carole, was that she give me a list of the poems in her new children’s book Blast Off! that she would have read. Along with the type of introduction she would have included. Part 2 of the plan was hatched by me. Rather than my reading Carole’s poems, I would ask members of the audience to do so instead. And that turned out to be one of the better ideas I have had recently! Children and grown-ups in the audience came up to the front and, sight-unseen, read out poems from Carole’s book. I was so impressed by how well the children (who I’d say were between 7 and 11) read. Read out loud. Read out loud to an audience of people they didn’t know. Seriously impressive! And the result? 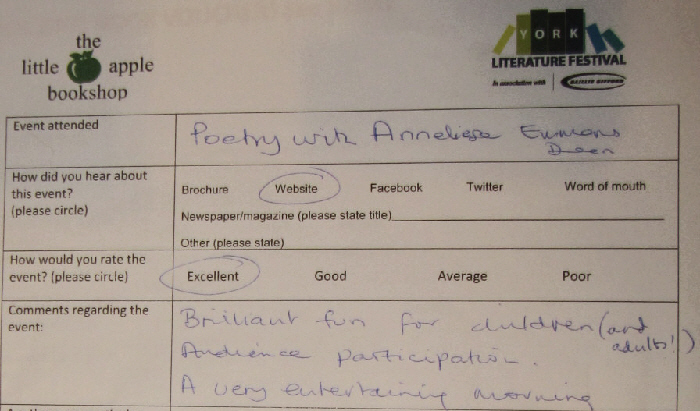 Well, the event was rated ‘Excellent’ by all who filled in a feedback form, so that was very good to read! 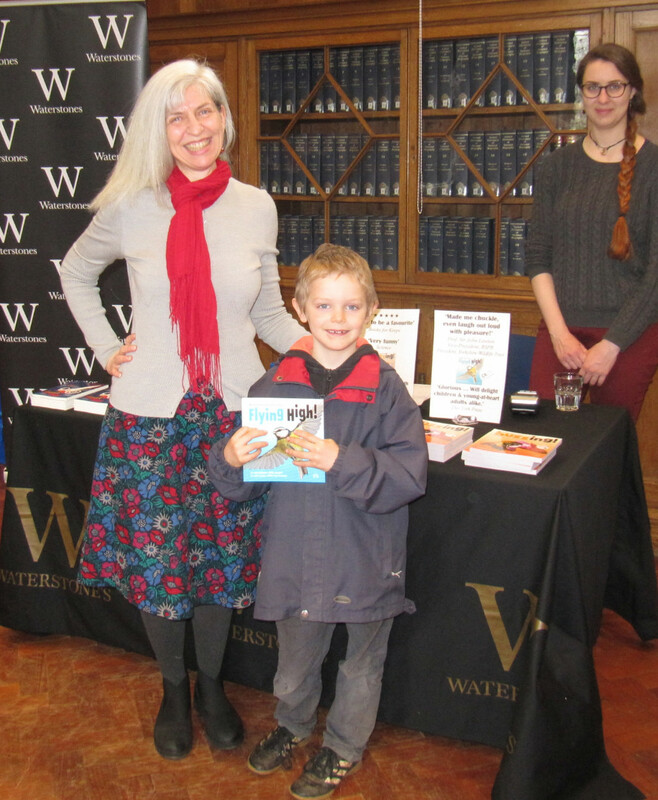 Thank you to all involved in this event, including Waterstones (see above) and festival volunteers Christine and Angela (see below) who ensured everything ran smoothly and enjoyably. Previous Happy Birthday St Nicks!